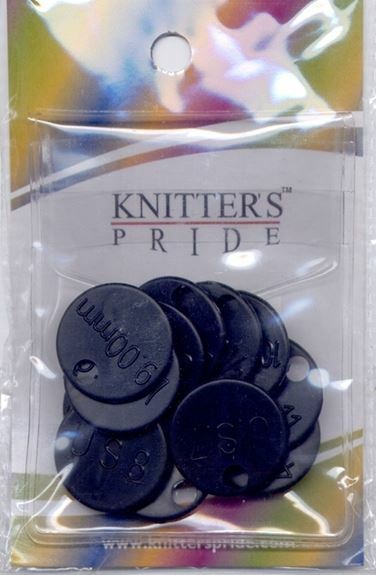 Knitter's Pride needle size markers are a useful tool to keep track of which needle size you were using on a project when you remove the interchangeable tips from the cord. All markers have both metric and US measurements on them. Each set has 12 markers (sizes US 4 - 17).